Viewing cherry blossoms is a national pastime and cultural event in Japan, where millions of people turn out to admire them annually. 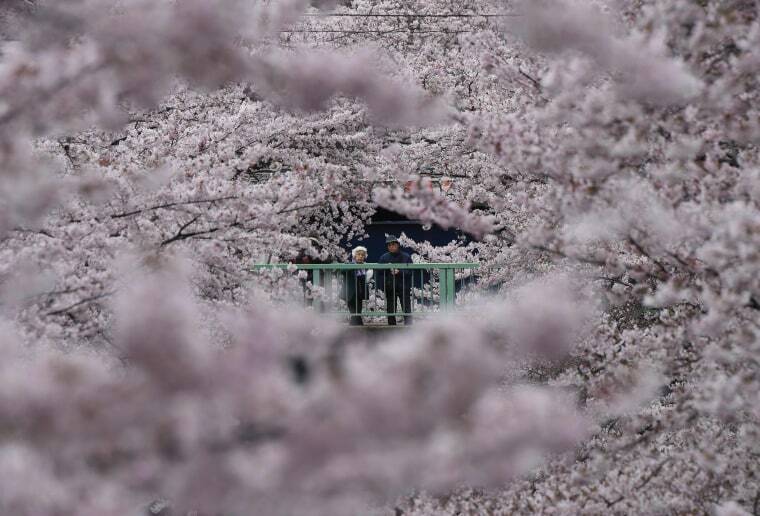 A man watches buds of a cherry tree that have just begun blooming at Yasukuni Shrine in Tokyo on Monday, March 21, 2016. 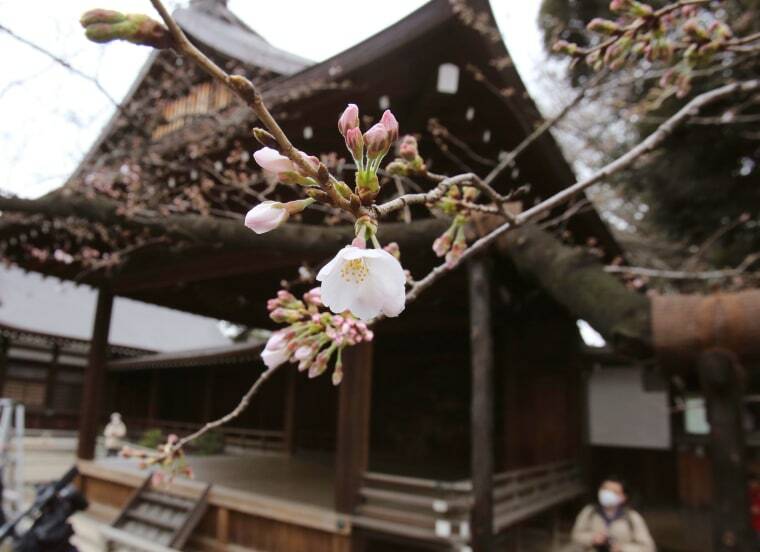 The Japan Meteorological Agency said that buds of Tokyo's benchmark cherry tree of "Somei Yoshino" at the shrine started to bloom five days earlier than an average year and two days earlier than last year. 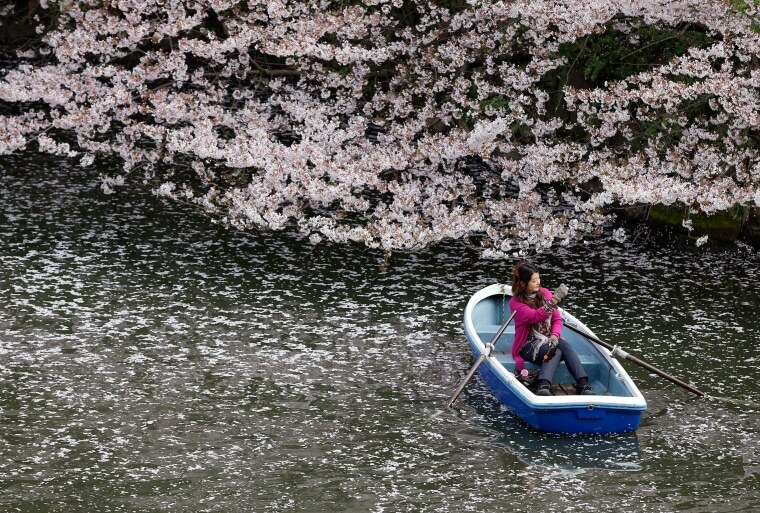 A woman takes a photo on a boat through a sea of cherry blossom petals at the Imperial Palace moat in Tokyo on April 4. 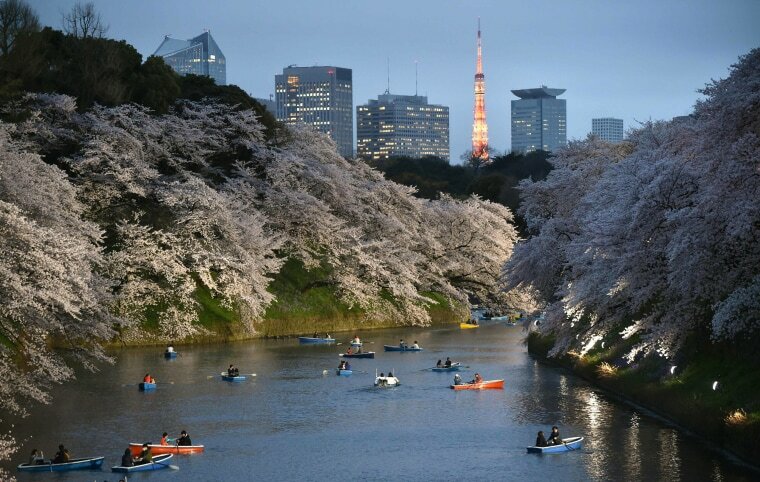 The Tokyo Tower is lit up as visitors row boats in a moat surrounding Edo Castle to admire full-bloom cherry blossoms in Tokyo on April 4. 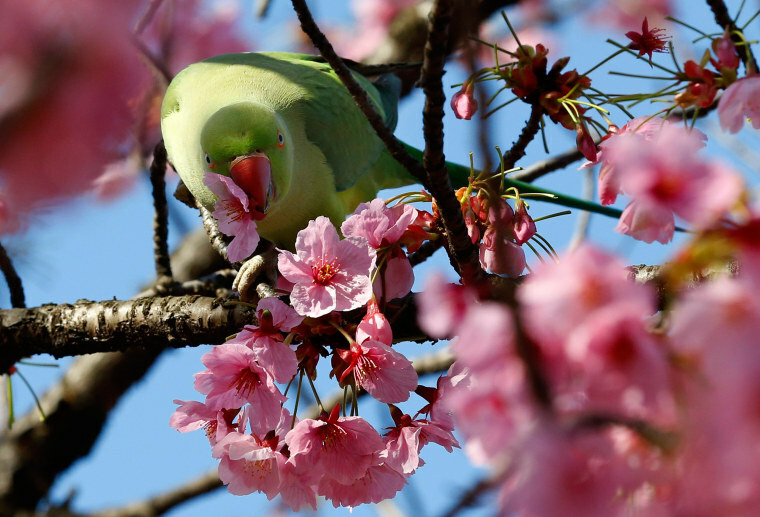 A cockatiel drinks the nectar of a Yoko cherry blossom at Ueno park in Tokyo on March 22. 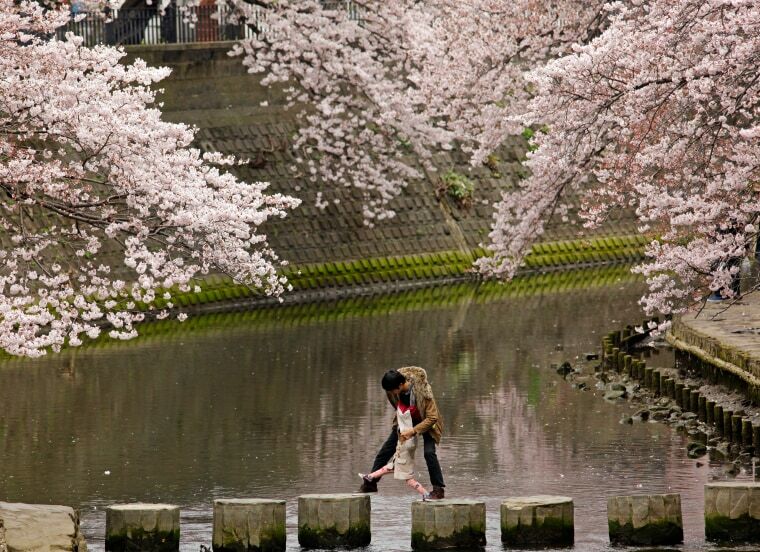 A child tries to cross over a river with the help of a parent under blooming cherry blossoms in Yokohama, near Tokyo, on April 2. 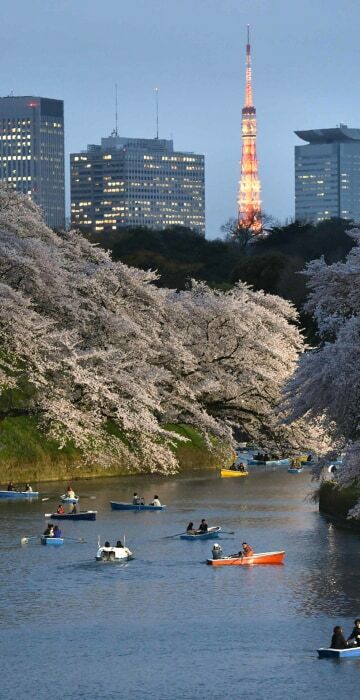 People stroll on an esplanade covered with cherry blossoms in full bloom in Tokyo on April 2. 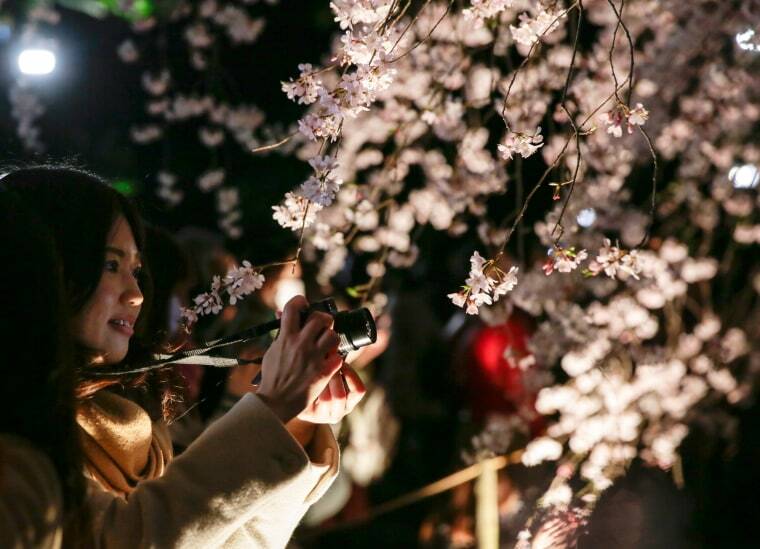 A woman takes pictures of an illuminated Prunus pendula, or Shidarezakura cherry blossom tree in full bloom at Rikugien Gardens in Tokyo on March 27. Different varieties of cherry blossoms bloom at different times. Once in bloom, the flowers can last four to ten days, depending on weather conditions.